The Coachmen Galleria Sprinter – reservations available now. operations. Your refrigeration is ALL-electric! No generator noise! We offer weekly, 10 night, 14 night, 21 night and 28 night rentals departing from 22 locations in the Western United States. Depart on the dates of YOUR choosing, with the exception of Sunday. 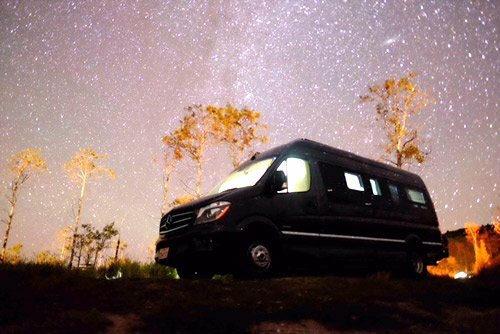 Our rental fleet is composed of 2016 – 2019 SOLAR edition Mercedes Sprinter luxury Campervans. 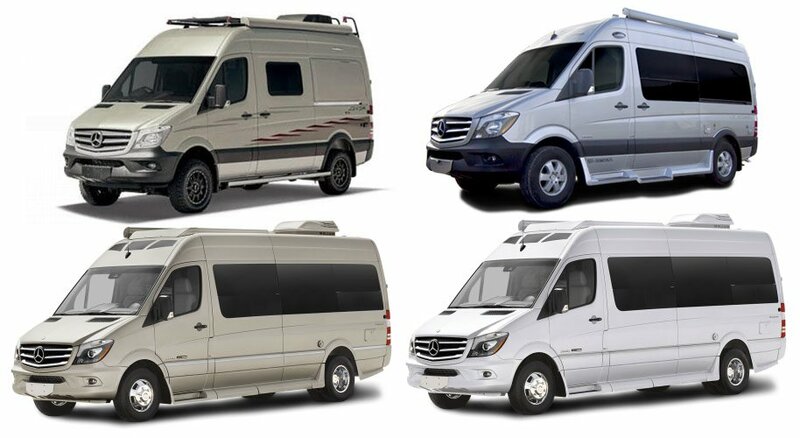 We rent 6 Mercedes Sprinter chassis-based models. The comparative chart will help you select the appropriate model for your needs. These are super low emission motorhomes, fuel efficient and easy to drive. We are 70% booked for summer by February ­don’t delay!